As usual, Daniel Day-Lewis puts his all in his performance as Danny Flynn, a former pugilist and provisional IRA member who is released from prison and returns to his hometown, where the circle of political violence is still unbroken. 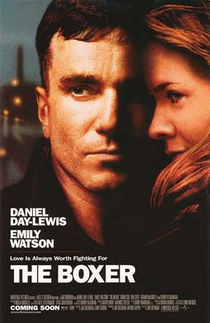 He attempts to reunite with an old flame, Maggie (Emily Watson), who is married to another incarcerated IRA man and must remain faithful to him. Danny opens up a non-sectarian gym for youngsters to get involved with boxing and away from the violence, but his actions provoke a hostile response from the political movement. 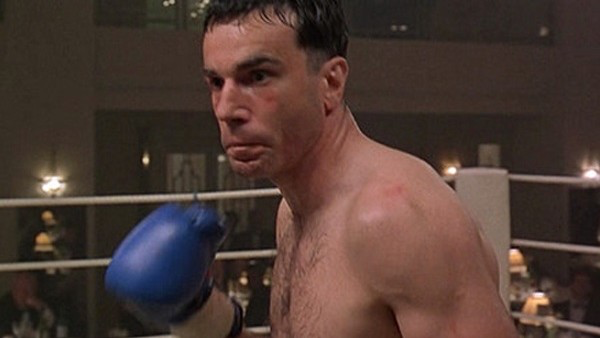 Always the method actor, Daniel Day-Lewis spent several years preparing for the role, training with former world champion boxer and Irish national hero Barry McGuigan to ensure his performance could be as convincing as possible.